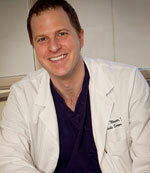 About Dr. Mosser - San Francisco Plastic Surgeon - Scott Mosser M.D. San Francisco Plastic Surgeon Scott W. Mosser, MD began his career in Medicine as a Fulbright Scholar to Ecuador, where he spent a year investigating the Ecuadorian healthcare system. He is a graduate of Baylor College of Medicine (Houston, TX) and Case Western Reserve University (Cleveland, OH), where he completed his internship and six years of comprehensive general and plastic surgery training. This was followed with a year-long fellowship dedicated to San Francisco cosmetic surgery where he perfected his techniques as a facial and whole body cosmetic surgeon. Of course, Dr. Mosser is a Board-Certified Plastic Surgeon as well. When he is not working, Dr. Mosser is a dedicated adventurer, avid world traveler, lover of the performing arts and most of all enjoys spending time with his family and friends. The American Society for Aesthetic Plastic Surgery has additional information on Dr Mosser on their site. The American Society of Plastic Surgeons has additional information on Dr Mosser on their site. I can’t say enough about how satisfied I am on the procedures that were performed by Dr. Mosser. First, the staff there are the best. I received consultations at several other offices and always felt like they were selling me used cars. Dr. Mosser and Sondra made me feel comfortable throughout the entire process, answered all my questions and I never felt pressured. I’m male, mid 30s and I’ve always wanted a flat chest. I decided to have Gynecomastia surgery (aka male breast reduction) and I also threw in the liposuction procedure since I was already going to go under (and the cost wasn’t that much more). To be honest, my expectations were pretty low since I didn’t want to get my hopes too high and I wanted to be realistic as to the end results. Cut to two and half months after my surgery and I now have a flat chest (as in flat, flat)! I really can’t say enough about how happy I am and how the results blew away my expectations. I’m now wearing the t-shirts I’ve always wanted to wear and I can take off my shirt poolside without feeling self conscious. It’s really changed my life. As to my midsection, I can’t say enough about how great everything turned out. It’s like the cherry on top of the sundae. No, I don’t have a six pack but I do have a countered mid section and can wear pants without the muffin top. I can’t say that the surgery was pain free. On a scale of 1-10 (10 being most painful), I would say that at the worse, I was about at a 7. This was mainly days after the surgery and it was mitigated by pain killers. After the first week, the pain felt similar to the soreness you feel after doing weights and sit-ups for the first time. A little after two months later, I have no pain, a little numbness, and the scars are slowly going away. All in all, for me, the cost and pain were well worth the results. I’ll also say that Dr. Mosser and his staff were there for me after the surgery. I’ve read horror stories about the doctor and staff not being available post surgery. Dr. Mosser sees you two days after surgery plus you begin a schedule of appointments that start off with once a week office visits and then slowly taper off as you start healing. This surgery has really changed my life and I’m so thankful to Dr. Mosser and staff for making this overall experience so pleasant. If you are unhappy with your body (but you have realistic expectations) and you can afford it, I would 100% recommend Dr. Mosser. I am one month post-op and I am thrilled with my results. Dr. Mosser is not only extremely talented, his entire office is very professional as well as caring and patient. I had my procedure on a Thursday and by Saturday I was very worried about how I was healing and I was worried about my pain pump. I called Dr. Mosser and he wanted to meet me at his office to check me out. On a Saturday when they were closed. He took off my bandages and looked me over and reassured me that I was OK. He was kind and thorough and I never felt rushed. All my follow ups go the same way. He answers each question I have and makes sure that I am healing well. His staff is also fantastic. Attention to every detail you can imagine and happily answers every question you have. Surgery is a very big decision but when Dr Mosser is the surgeon, you can rest assured you will be in very capable and talented hands. I am probably not Dr. Mosser’s “typical” patient, but I thought it important to share my experience anyway. Last year I was running for the cable car, tripped, fell, broke my wrist, and landed on my face. Not my most shining moment. I had two black eyes, a fractured nose, broken tooth and cut mouth from the fall. I looked like I had been in a car accident. After the initial trauma wore off, I realized something was stuck on the inside of my lower lip. Well, guess where my broken piece of tooth was? Not on the sidewalk where I hit. The pieces needed to come out because they were sharp. Something like this was obviously a piece of cake for Dr. Mosser to fix, but the important thing for me was that I felt just as important with my little reconstructive surgery as I would have if I had opted for multiple elective procedures. I never felt like I wasn’t worth his time which frankly is what I expected walking into a cosmetic surgeon’s office. Not only is Dr. Mosser a great surgeon, he is very personable and listens. I feel sorry for any doctor that I see, because I am the biggest scaredy cat on the planet and I start to get nervous as soon as they knock on the exam room door. He took all of this in stride and handled it beautifully. Now I don’t plan to have anything elective done, because it’s not really my thing, but you can bet if I fall on my face again and need something fixed Dr. Mosser will be the first person I call. You won’t meet a warmer and friendlier group of people than Dr. Mosser and his team. Very adept, efficient and thoughtful. All of that is second to Dr. Mosser’s level of professionalism and the outstanding quality of work he does. Right from the initial consultation, through the surgery, and into post-op visits, I had a secure sense that if I needed anything at any time, they would be there for me. Not once did I feel worried or uncomfortable about the procedure and it’s outcome. Nope, you don’t get to know what I had done (only Dr. Mosser, his staff, and my husband do). Know this: I wouldn’t hesitate to have Dr. Mosser do *any* procedure! From surgery to Botox, I’d recommend seeing him exclusively! Just wished to reiterate how pleased I have been with the services I’ve received at Dr. Mosser’s office. His staff, Sondra, Amy and others there are ALL very genuine, welcoming people. Dr. Mosser takes time to “be” present with each and every client and it shows. If you are seeking a plastic surgeon who takes an honest, straight forward approach to his work, then Dr. Mosser is the surgeon for you. I have thoroughly enjoyed working with Dr. Mosser and his fab team, especially Sondra. Dr. Mosser is professional, knowledgeable and has a great artistic eye. I am 2 months post-procedure and can not describe how thrilled I am with my results. In the interest of not engaging in gross surgical overshare, I welcome private messages and will happily talk in greater detail about my experience with Dr. Mosser! If you are a perfectionist and expect the best go to Dr. Mosser. He has the nicest staff (Sofia is a-m-a-z-i-n-g). Coming from someone who is “fussy”, he is your man. I am a nurse and have had the pleasure of working with Dr. Mosser. He is highly skilled, extrememly professional and very caring. So when the time came to pick a plastic surgeon for myself I chose Dr. Mosser without hesitation. From the initial consultation to the follow up visits he was top notch. He took a lot of time to give me information so I could make decisions about my surgery and always made me feel at ease. His office staff is also friendly and welcoming. The whole experience was excellent and of course very rewarding!! amazing. this man is phenomenal, no joke. highly recommend him for everything and anything. Just had surgery 3 weeks ago, and I look and feel great! Very caring, knowledgeable, and understanding of what his patients need and want. THE BEST! =) Thanks Dr. Mosser!